Single Layer or Two layer Veil? 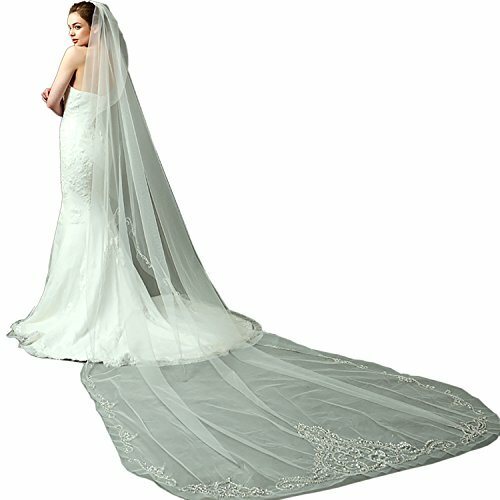 Here are Some Things to Consider... One layer veils are lovely with any dress and often have a more relaxed, casual feel. Single layer (also called single tier) veils are a wonderful choice for brides who want a minimal and less formal, but still chic look. A single layer veil also works well for a bride who is planning to wear their veil at the back of the head to accentuate an updo. When a bride is thinking "no veil", LynnBridal's stylists always recommend they try a single layer veil before wholly rejecting this classic accessory. The wedding veil really gives the bridal ensemble a complete look. If you have any questions about this product by LynnBridal, contact us by completing and submitting the form below. If you are looking for a specif part number, please include it with your message.